One of the testing tools for VMware networking is netcat. We have a post which explains the basics of vmkping command here – How To Test Network Connectivity with a vmkping command in VMware environments. Check it out. Today’s post is called How To Test Network Connectivity with netcat utility in VMware environments and we’ll explore some possibilities we have with netcat. 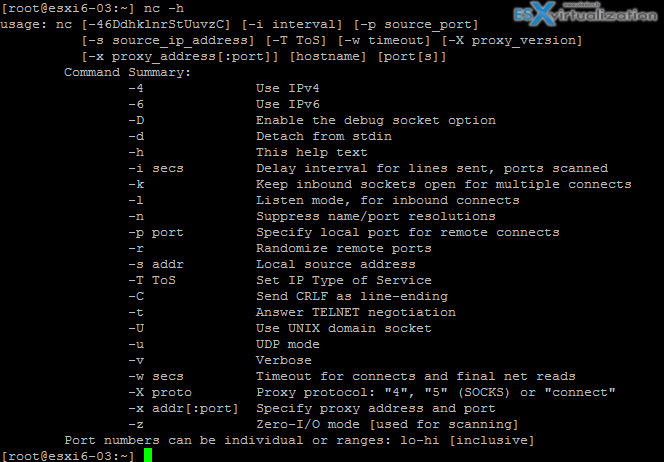 Netcat is used to verify connectivity on a specific remote port(s). This command is especially useful in environments where you have a firewall between vCenter and ESXi host or between each ESXi host(s). Netcat can do much more than that, but we’ll focus mainly on the use for VMware environments, where we want to check connectivity with a remote host at a particular port. It can be for example a vMotion port 8000 which we want to test. nc is the command which runs netcat, a simple Unix utility that reads and writes data across network connections, using the TCP or UDPprotocol. It is designed to be a reliable “back-end” tool that can be used directly or driven by other programs and scripts. At the same time, it is a feature-rich network debugging and exploration tool, since it can create almost any kind of connection you would need and has several interesting built-in capabilities. As you can see, it’s a command with multiple possibilities. Let’s have a look at the syntax and how to get help. You can also test multiple ports or range. There are quite a lot of port open, for incoming or outgoing communications, on VMware ESXi. To know them all? It depends which services are configured within your environment. Whether you have a vMotion activated, you’ll certainly want to check port 8000. Whether you need to check communication for VSAN transport service, you’d want to check connection through the port 2233. And so on, so the best is to check Incoming and Outgoing Firewall Ports for ESXi Hosts VMware documentation page. Differences between Essentials and Essentials PLUS below. As you can see Essentials does not have High Availability (automatic VM restart), vMotion, backup software (VDP) or possibility to add VSAN as shared storage option (separate licensing option – per physical CPU). The vSphere Essentials is good for very small clients and clients who do not really need availability. Clients which can afford to stay “offline” for a day while doing hardware maintenance. On the other hand, having the possibility to migrate your VMs to another host and do host maintenance or patching, without interruption, gives you a real advantage. This can be done during business hours and users can continue to work. 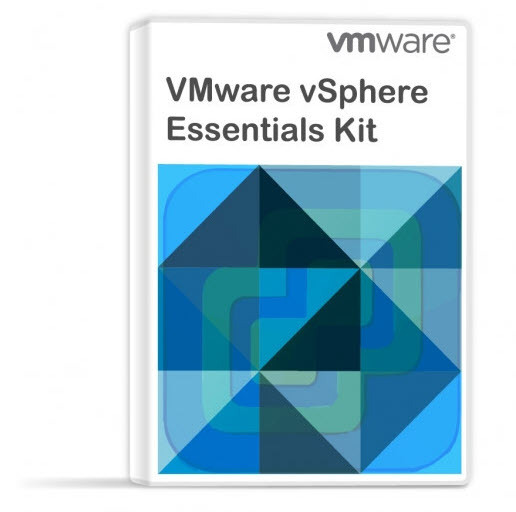 You’ll need vSphere Essentials Plus for that. If there is an unplanned hardware failure, vSphere High Availability (HA) can restart automatically those VMw which failed when the host failed. Those VMs are automatically restarted on other hosts which are part of VMware cluster. There is small downtime during which the system figures out what the host has failed and which are the hosts that are able to start the failed VMs. Once this automatic decision is taken, the VM boots up. The whole process is completely automatic and acts without the admin’s intervention. Both above are limited to 3 Hosts only. If you need more VMs and more hosts, the vSphere Standard is your choice. Diky za korekci -:) Thanks for the correction.